A Sneak-Peek at What We Have for You at the User Group Summit Europe! 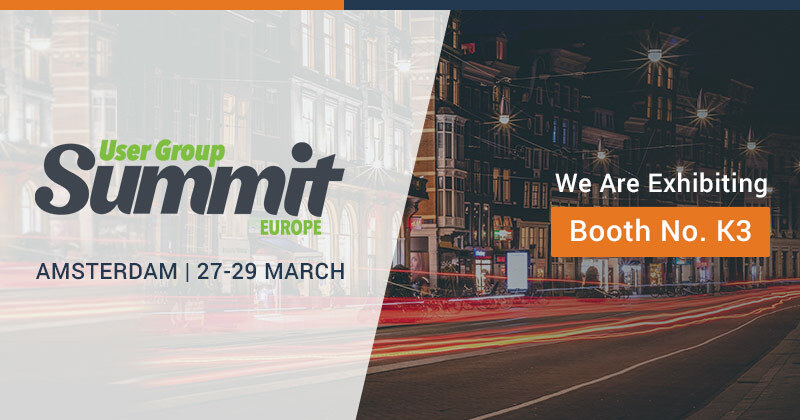 As we had mentioned in our earlier blog, To-Increase will be participating in the User Group Summit Europe. Esteemed members of our team will also be there, which means that you can look forward to a lot of meaningful discussions with them. For your discrete manufacturing requirements, we can help you gain deep insights into your business to stay ahead of the curve. You can touch upon all the aspects of your business including the quotation, engineering, production, operations, and maintenance to solve challenges like getting visibility, improving efficiency, and delivering quality. In the equipment leasing and rental sector, you can get insights into your global assets’ lifecycle to enable business model innovation and mobility. No matter what your area of focus is we can help you meet challenges like digitizing your business, streamlining processes, and automating workflows we can help you find a suitable solution. We can help you easily migrate data and integrate with every system for your business integration needs. Whether your requirement area lies in application integration, electronic data interchange or master data management, our experts can provide you with the right support and guidance. They can help you streamline processes, integrate quickly, and automate processes. To enhance the business productivity of your organization, we can help you align processes and technology with your business goals to ensure compliance. Whether your challenge area is getting aligned, ensuring compliance, or transform processes, our experts will be able to guide you on the right-fit solutions for your business needs. Our team can help you streamline the organization structure, improve core processes, and leverage mobile activities. When it comes to finance and governance, it is important to streamline your finance operations and meet government compliance. Our experts have categorized your challenge areas as automating workflows, increasing efficiency, and ensuring compliance. This way you can be sure we have looked at all improvement areas including finance management, invoice workflow, government contracting, and compliance & security.